Sadly Mary Paula passed away on 17th April 2017. In the honouring and celebration of Mary Paula’s life and directorships of TP and TPI we give thanks for her wide and broad contribution to the fields of Psychotherapy and Bereavement. Mary Paula’s Obituary was published in Inside Out Magazine No. 82 Summer 2017 along with an Article written by Mary Paula which was first published in Inside Out in 1992 . Mary Paula Walsh was a co-founder and Director of Turning Point™ and Turning Point™ Institute (TPI). Mary Paula (with Kay Conroy and Delma Sweeney) was one of the three initiators of what has now developed into the Masters in Integrative Counselling and Psychotherapy. In the past Mary Paula worked as a graphic artist and design administrator, and studied Psychology, Philosophy and Social Work. She worked with the Eastern Health Board (now HSE) in Community Care mostly involved with children in care. Mary Paula was an initiator and leader of Re-evaluation Counselling in Ireland for a number of years in the 70’s and 80’s where her special interest areas were the training of counsellors, and results of oppression and liberation, particular the issue of Irish liberation. Throughout her life Mary Paula has developed an interest and expertise in Grief, Loss and Bereavement work for which she became renowned. In 1995 her book “Living After a Death – a guide through the journey of Bereavement” was published, and in 2000 a second book “Helping Your Child Through Bereavement” was published. She has lectured and facilitated workshops and groups widely on Grief, Loss and Bereavement, and has contributed to many of the Professional Counselling and Psychotherapy Courses in Ireland on the subject at both community and Masters level. Mary Paula trained as a facilitator with the Elisabeth Kubler Ross Foundation, USA and was responsible with a small team for bringing Elisabeth Kubler Ross to Ireland and for organising and facilitating workshops over a period of more than 10 years in Ireland, and also in the UK. 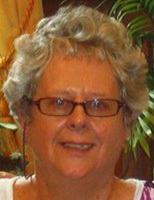 Mary Paula was active in the early years of IAHIP where she served on the Executive for 8 years during which time she represented IAHIP on the board of the Irish Council for Psychotherapy for a number of years. Mary Paula is deeply missed by all at Turning Point and Turning Point Institute.